Today we delivered Workday Talent Insights, the first of several Workday Insight Applications. 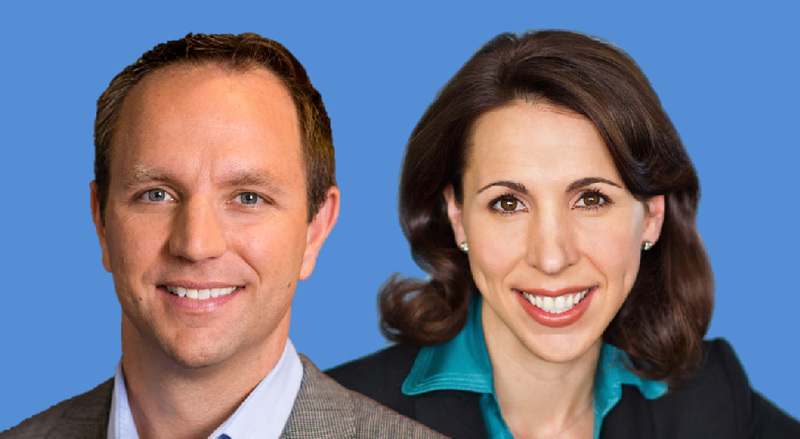 Workday’s Dan Beck, senior vice president of technology products, and Leighanne Levensaler, senior vice president of products, answer four questions about the new application, Workday’s focus on employee retention, and what customers can expect next. What is Workday Talent Insights? Leighanne: First, we’re packaging insights around some big questions and business challenges our customers are facing. For example, Retention Risk Analysis uncovers predictions to help customers answer questions like: Which of my top performers might leave in the next year? What’s the cost to replace them? What are the common risk factors for my company? Which job functions or departments are at higher risk? The list goes on, and we will continue to help customers tackle more over time. We also delivered scorecards. I think we can all agree that mining through data to understand what’s happening in our organizations is brutal. Scorecards eliminate the search by enabling customers to see people and business performance at a glance with alerts on a dashboard, their phone, or an email. It’s early days, but there are so many ways our customers plan to use scorecards to keep executives posted on initiatives like workforce diversity and employee engagement. And at the foundational level is all the technical goodness including the ability for customers to enrich their internal data with outside data as well as Workday’s machine learning capabilities that refine the accuracy of insights and predictions over time. Why did you start with Retention Risk Analysis? Leighanne: Employee retention is top of mind for our customers, and you’ll see why if you look at the current job numbers. In the U.S. alone, we’re seeing some of the highest job opening and turnover rates in years—about 5.1 million openings and 2.7 million voluntary quits as of the latest JOLTS report. The labor market is hot, which is great for employees but can be a nightmare for managers who are struggling to keep their best people. And when the median cost of turnover is about 20% of an employee’s annual salary, losing top performers doesn’t just affect quality of work and client satisfaction, it can have a massive impact on the bottom line. As a result, companies across industries around the world are looking for new approaches to people management and company culture to increase retention. It’s too costly not to! What have you learned from partnering with customers on the design of Workday Talent Insights? Dan: We have learned that keeping top talent is a major priority and that companies have tried to address it in a variety of ways. For example, many have tried to understand retention risk with some combination of hiring consultants, technology, or their own solutions and teams. For most, this was incredibly hard and expensive, and the results were often inaccurate or, at best, a static snapshot of retention for a moment in time. That’s not useful as these companies face rapid organizational change. On average, our customers with more than 40,000 employees manage roughly 15,000 employee changes and 600 organizational changes per year. So, a static snapshot of retention can become obsolete one day to the next. That’s why an adaptive approach that leverages machine learning is a core component of Workday Talent Insights. We can help our customers maintain deep visibility despite the change and growth they face—to better ensure a top performer doesn’t get lost in the churn. That’s the kind of the differentiation we’re delivering. Leighanne: We’ll continue to advance the breadth and depth of Workday Talent Insights to tackle more customer challenges. We’ll also roll out new applications that complement functional areas across Workday. One I’m particularly excited about is a projects-centric application that builds on a lot of the capabilities of Workday Professional Services Automation. Just think about the potential for professional services firms to redefine their business models and client engagements if they had predictions or recommendations to staff more profitable project teams. This really is the magic of one system for finance and HR with machine learning at the core. Dan: And on that note, customers will start seeing prescriptive capabilities later this year—not just predictions on what might happen, but recommendations to help them make their next move. I think this is groundbreaking for the enterprise. We’re investing more resources on the data science side, and more time with customers—the collective Workday community is eager to see what’s in store.